The most visited post on this blog is the one I wrote on the iPhone. The iPhone is undoubtedly one of the most buzzed about gadgets of our times. While the official release of iPhone in Oman seems to be far, far away, there’s news that Qatar will be the first country in the Middle East to get it (Egypt and Jordan are in line as well). The release in Qatar is supposed to be this month; probably Vodafone, the Qatari iPhone service provider is waiting for Eid to get on with the launch. However, unlocked phones are available in plenty on the black market in the Middle East. So if the iPhone creates so much buzz, what about iSmoke? I came to know about Blendtec’s imaginative series of “Will It Blend?” viral videos from “Groundswell”, the now iconic book on social media written by Charlene Li and Josh Bernoff of Forrester Research. The Blendtec videos are a huge success in viral consumer marketing and this one is one of their biggest hits. Discover what happens when the iPhone blends! 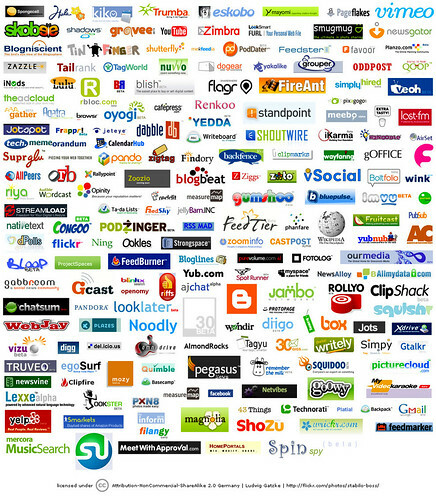 This is inspired by Greg Verdino’s post: The “you test” for social media agencies. 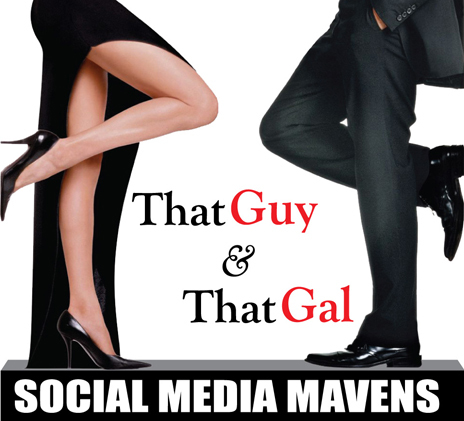 Greg delves on “that guy and that gal” – those who are social media mavens in every right. Those who walk the talk and talk the walk. In his words, the real experts are those who have “a true passion for social media and have made it a personal mission to ‘live’ in the space and experience new social channels as a consumer first, marketer second”. He also gives a 5 point “You Test” to separate the wheat from the chaff. I’d define the mavens as those people who are not only using social media tools such as blogs, Twitter and podcasts in their own work and building brands through conversational marketing, but are also building knowledge communities, espousing social causes and in general advancing the “age of conversation”. Here’s a little fun project to identify them. I’m creating a Mavens Directory which will identify leading social media gurus and their organizations, along with a link to their blogs. The idea is what I’d call the aggregator effect. If I know 5 mavens and you 10 more, let’s put our heads together and see how far and wide we can go. Eventually, I see this page as a one-stop resource for any social media enthusiast or marketing blogger who wants to connect, network and identify with “those guys & gals” who are rolling with the social media juggernaut. Have fun now! Feel free to nominate your mavens on this post or on this wiki. Watch out for updates as the list grows. For starters, I’m listing few mavens who commented on Greg’s post. Update 1: Wow! The list is slowly but steadily growing. Thank you folks for tuning into the conversation. While there will be quite a few people out there using social media tools at work and helping communities grow, it’s Peer to Peer recognition / nomination that will help us identify the true mavens. Interestingly, people have used social media tools such as LinkedIn and Facebook to let me know about mavens and to connect with me after I put up this post. Hey, the list is not done yet, I know a lot of mavens who need to be there – just waiting to here from you first. Greg Verdino (who sparked off the whole “who is the maven?” thingy has written a post on my wiki endeavor. Thanks Greg! CK GREETS ARUN, originally uploaded by ck.epiphany. 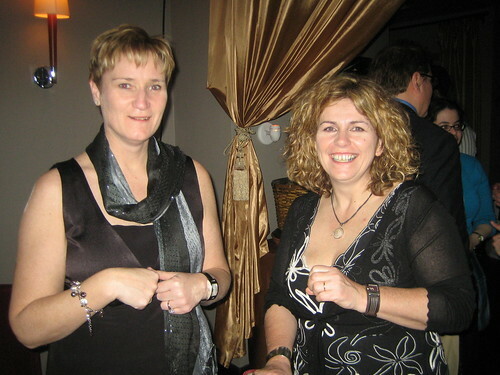 This is the final post in my series of posts celebrating Blogger Social’08. In this post, I want to talk about 3 special people who mean the world to me and who I got to meet for the first time ever at the event. A lot of people who attended Blogger Social’08 have told us that the above photo of CK hugging me on meeting me for the first time is a visual treasure that best encapsulates the essence of the Blogger Social and something even bigger! How true! My friendship with CK is going to be a year old in a few weeks from now. It was her mother (God bless her soul!) that brought us together (a comment I made about departed souls watching over us as stars in the sky caught CK’s heart and marked the beginning of our friendship). A year later, when my mother passed away, CK was there as a rock of strength, reminding me of my own allusion that departed souls are with us, proudly watching over us as stars in the night sky, and hence not to lose hope. CK has been an angel for me, always offering kindly support, appreciation and encouragement. I can go on and on about how blessed her heart is and how she has been this role model I look up to. I’m sure there are countless people out there in the blogosphere who have been inspired by her and who consider her an angel like I do. For me, the greatest thing about her is her ability to inspire you to move mountains. For example, my trip to New York. It’s a trip that I thought I would never make. Initially, the trip wasn’t even on my radar because I thought: Hey, me going to New York??? Are you kidding me? How am I going to make it? What about the money, and then the visa? It took a simple nudge from her for me to realize you can’t get things unless you even wish for them. 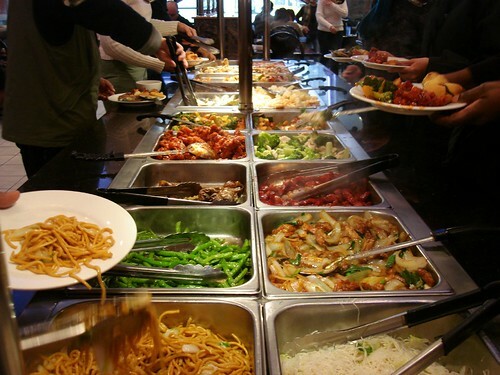 Once I made a decision to travel to the US in April, there came other unavoidable emergencies. The first few months of 2008 threw every possible challenge in the book at me – a new job, frequent travel to India, the passing away of my mother, lots of family pressures, financial constraints… so much, that several nights I lost sleep stressing if I could it make it in April. To make matters worse, there was some delay in processing my employment visa in Oman, and it took things to the wire. I couldn’t travel unless that was sorted out. Finally everything worked out in the last possible minute – I got my employment visa sorted out a day before my cut-off date to apply for a US visa to arrive in time for the event. I think I literally ran from the US Embassy to the airport to catch the flight to New York. CK was in the midst of all the madness I went through reassuring me that her prayers were with me and I would make it as we were meant to meet. The entire weekend, I remember telling her – CK, I still can’t believe I’m here, this feels like a dream. And she would be like: I understand. You will only feel that you were here once you get back home. The entire trip, the whole event and my meeting with CK – I consider it nothing short of a blessing & miracle. I think most of the time I was in shock – the joy of meeting all those people I really wanted to meet and then my disbelief in all that was happening around me. I sometimes wonder how I made it – and that’s when I know that the gentle nudges, prayers, faith and support a friend like CK gives you can move mountains for you and just get you going! Drew & CK, originally uploaded by ck.epiphany. Another person who I had the pleasure of meeting at Blogger Social was Drew McLellan. Drew, CK & their army of mighty elves moved a lot of mighty mountains to bring us an event that was so magnificent and magical. Drew’s and Gavin’s collaboration on the first edition of ‘The Age of Conversation’ introduced me to a community of bloggers who care and share. The book not only opened a lot of avenues for me in Oman, but also helped me make a lot of friends from around the world, most of whom I had the good fortune of meeting in New York. Sometimes the sign of greatness is that it creates a spillover effect of so much goodness that benefits people in many mysterious, yet positive ways. Drew’s leadership, both in directing the success of the book and the event, has benefited me, personally and professionally. It’s made me so much richer in soul and spirit, and I couldn’t be happier! Thank you, Drew, for everything you do to keep us stronger and closer as a community! Luc and Arun, originally uploaded by ck.epiphany. The last gem of this post is my good friend Luc Debaisiuex. Again, our friendship is going to be a year old. Meeting Luc at New York was one of the finest, most exciting experiences of my life. It’s hard to explain why and so – but Luc is someone I so look up to and consider him a friend, family, guide, mentor and so much more. We enjoyed some beautiful conversations that weekend. He’s somebody who is very encouraging and motivating and can bring a smile on your face with his very endearing nature. He’s somebody who transmits tremendous positive energy and goodwill through his conversations. Thank you Luc, for being there and I wish you the best in all your endeavours. It’s great to have you with us! Indeed, if life is a journey that leads to meeting fine people and unforgettable experiences, New York in the weekend of April 4-6, 2008 brought together some of the finest people and greatest experiences of my life, ever. Arun & CK, originally uploaded by Moda di Magno. Tim Brunelle, Joe Kutchera & Marshall Sponder, originally uploaded by ck.epiphany. Blogger Social 2008, originally uploaded by Matt Dickman. It was great meeting Steve Woodruff & Curious George. Steve’s a quiet person, but that doesn’t mean he is less affable. It was such a pleasure meeting a person who is so passionate about our community without being so vocal about it. Tangerine Toad & Tim Brunelle: TT and Tim are two icons I look up to when it comes to my work. So it was nice to hear a lot of interesting things about advertising, social media, work and life in general straight from the horses themselves. 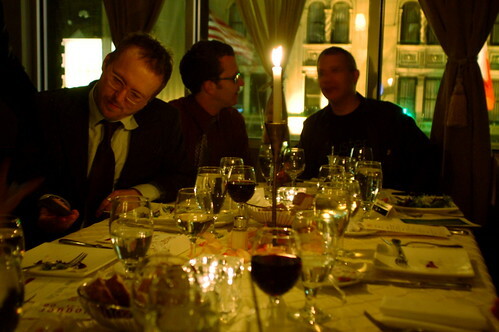 At the dinner, Tim was like c’mon boy; let’s go meet people out there and I tagged along. I like the man’s spirit, he knows how to have a ball and then get away with it. Real heroes, both of them. Kristin Gorski came, saw and conquered in the 1-minute we got to say hi. I find her a very prolific writer and I was so looking forward to meeting her. In real life, she’s simply more awesome. I had a good time chatting with CeCe Lee Salomon and her hubby Gregg at the Perfect Pint. They were the perfect couple that served as my ice-breaker to the event. Darryl Ohrt told us (Mark Goren & I) about the ‘scar’ over drinks. Darryl’s such a chilled-out dude. David Armano. Kick me somebody, oh, somebody just kick me. The whole wide blogosphere knows how David has gripped the bull called social media by its horns and is riding on its back. I feel like an opportunity lost that I missed out in saying hi to him, especially when he was all over the place with his cowboy hat. May be I felt so awed that I couldn’t walk up to him. 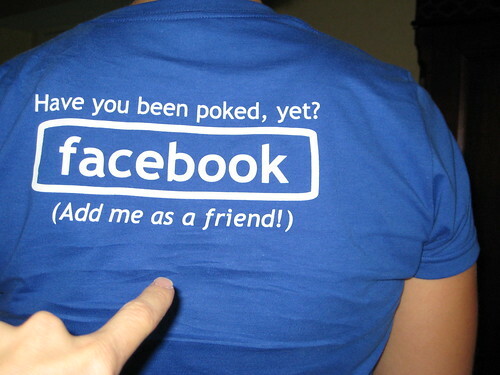 I so admire his work and the way he is involved with social media. And if he’s reading this, he will know he’s got a fan in Oman. Hah! Tim McHale! The Man. I went so ga-ga over him the first time I met him, I think I almost embarrassed him. Why not, after all, he’s the guy who’s helped set up Tribal DDB. He shared with us a lot of his war stories, specially why DDB picked Tribal as its nom for the digital shop and how the interactive landscape was then back in the days. Quite the cat! I met Paul Soldera on the pier after the boat ride and we had a good time talking about our geographical background and favourite sport (cricket)!!! He was very excited about social media bringing people together from across the globe. Too bad he couldn’t spend much time with us. Todd Andrlik is a very mellow, gentle soul (and really tall, like Ryan wrote in her Blogger Social memoirs). He is fond of collecting antique, special edition newspapers and was kind enough to gift me a copy of one treasured, antique piece. And I learnt from him about this unique, hand written newspaper that is published from India. 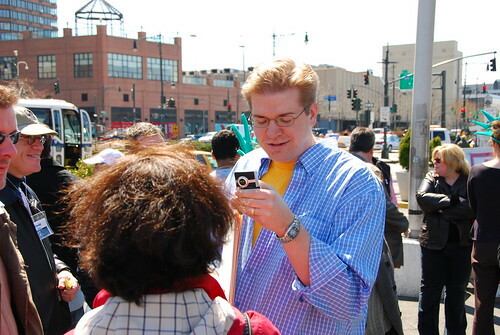 Todd was frequently mobbed by bloggers who wanted him to jumpstart their Power 150 rankings. I’d personally like to be on that chart some day, some where on the top! Todd captured a very interesting video where he asked Blogger Socialites what they liked the most about blogging. My response was: INTERESTING CONVERSATIONS. Lori and Arun, originally uploaded by ck.epiphany. It was fun catching up with David Berkowitz, especially after his recent honeymoon trip to India. His recent travelogue on his Indian adventures made me open my eyes to a lot of experiences in India that were unknown to me. It was very gratifying to see India through his eyes. Of course, I was effusive in my praise for his Flickr snaps and travelogue. He, after all went to Kerala, which is my native state in India. Matt Dickman won me over with his genial smile. It was great running into the legendary ‘Mattanium’. Linda Sherman and I enjoyed his company during the Blogger Social boat ride. Not only did he take umpteen amazing snaps of us in all sorts of poses, but he gave us a fabulous guided tour of the Manhattan view along the cruise. Thank you Matt, that was so very generous of you!!! 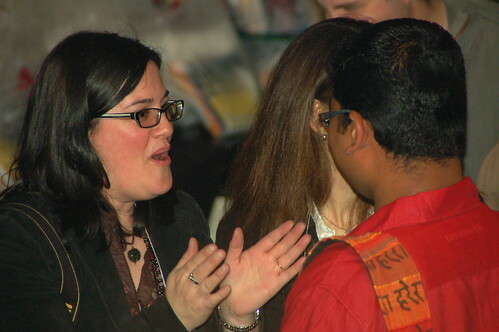 I’m still kickin myself in the rear for missing out on Rohit Bhargava’s book brainstorm meeting, but I’m glad to have met him at Blogger Social’08. It was very inspiring to hear from Rohit about his personal vision for the future. BS gave me the opportunity to meet a lot of industry greats, and Rohit is someone who is using the potential of social media to create goodness and value not just for himself but also for the marketing community. It was such a great honor to meet the person who wrote the iconic ’25 different styles of blogging’. 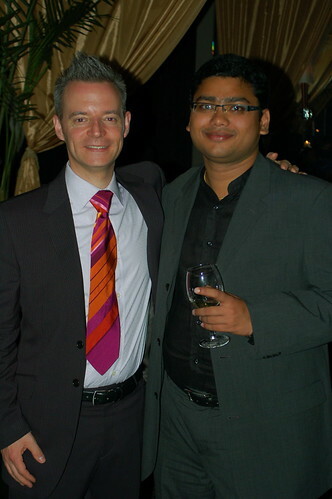 From Ryan’s blog, I heard that Shashi Bellamkonda is a polyglot. From my limited interaction with him, I came to understand him as a very friendly person with a lot of diverse interests and who is generally interested in knowing more about people. Thank you for being a wonder with the camera and giving us so many snaps. Hopefully, we will get to connect more in the days to come. 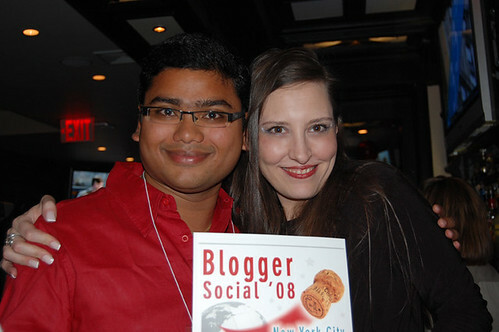 Lori Magno was truly the angel of Blogger Social’08. I wandered into the Perfect Pint, dazed, horribly late, not knowing what to expect. 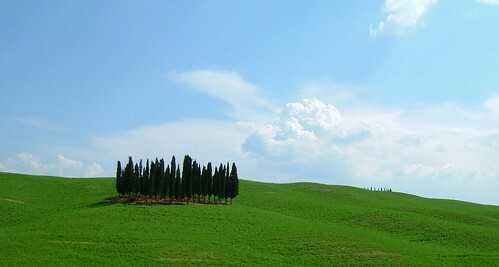 And I meander straight into Lori – and for a split second, I’m like: Is this real? Is this Lori Magno? Is this the same person? Is it the legendary Audi driving, Mac using, doppio drinking, Red Sox loving liberal? The same person who shipped out all the Weekend copies to bloggers across the States? And in that split second, she screams-It’s Arunnnnnnn and gives me this huge, huge bear hug. And I think-I’m home. I’m home. 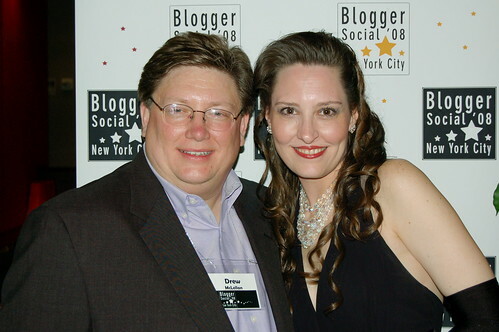 Lori was the life of Blogger Social, the angel-like figure we all ran to when we were lost and didn’t know what to do. The shepherd(ess) of our flock. And thank you for your work in getting us all those yummy goodies. You’re awesome! You are truly special for me. Arun, Valeria & Arun’s bag, originally uploaded by ck.epiphany. Valeria Maltoni has the most amazing, friendliest smile ever. Period. Said hello to Steve Roesler and shook hands. Meeting him was such an honor. I’m looking forward to more conversations with him in the future. Watch out for more of my Blogger Social experiences!